This Bluehost vs Hostgator review will throw some light on web hosting quality of these two hosts. Both the hosts are among biggest web hosting brands in the world and both have huge no. of websites hosted on their servers. Other than being huge and popular brand, one more thing is common in Bluehost and Hostgator. Both of them are very controversial and there are many negative reviews about them which are floating on the internet. Here, we will try to show you the complete and bold truth. We will honestly mention the positive, negative and ordinary sides of both the hosts. This Bluehost vs Hostgator review will move ahead in a very systematic way. First, we will take a look at scores of both web hosts in different fields, and, then we will tell you the reason behind giving them those scores. Above scoring shows that both Bluehost and Hostgator are good web hosts, and they are very close to each other in terms of overall web hosting quality. Hostgator wins with a small margin due to its relatively better speed and up-time record. But, truth is that none of them is an excellent or great web host. Both are good hosts, but none of them can be crowned as the best affordable web host. What will you do if we provide you options better than Bluehost and Hostgator ? You will most probably be very happy with it ! Just read ahead and find the better options…..
We have done detailed analysis and thorough testing of more than 25 top web hosts which include all big names like Bluehost, Hostgator, I-page, Inmotion, Dreamhost, Siteground, A2 hosting, A small orange etc. All web hosts were analyzed on the basis of their performance in Plans and pricing, speed and up-time, customer support, security system, and overall list of features. Many honest reviewers, industry experts and real customers have appreciated the quality of hosting provided by above mentioned 3 web hosts. I myself trust all these 3 hosts. For a proof, you can see that ZENIWO.COM itself is hosted on Inmotion, you can check it here. In this part of Bluehost vs Hostgator review, we will provide you very basic details about the background, popularity and reputation of both the web hosts. Headquarters :- Orem, Utah , U.S.A. NOTE :- Both Bluehost and Hostgator were independent companies, which got acquired by Endurance International Group (EIG). Now both companies operate as major subsidiaries of this group. EIG has been criticized for bringing down the quality of web hosting companies acquired by it. Bluehost, Hostgator and A small orange are considered to have lost their quality due to EIG policies. In this part of Bluehost vs Hostgator review, we will compare the plans and pricing structure of both web hosts. All major hosting categories like shared, VPS, dedicated server and wordpress hosting are included in this short and simple overview. Both Bluehost and Hostgator provide 3 plans which are quite similar to each other in pricing and have only minor differences. Smallest plan of Bluehost allows only 25 sub-domains, while hostgator provides unlimited sub-domains in all plans. Bluehost offers 1 free domain with each plan, while Hostgator does not provide free domain in any plan. Largest plan of Hostgator provides free dedicated IP address and free SSL certificate, none of which is offered by Bluehost. Bluehost provides free domain privacy and, site backup and restore service in its largest plan, which are not provided by hostgator. Bluehost provides 4 relatively cheap VPS plans ranging from $30 to $120. Hostgator provides 3 quite expensive plans, ranging from $90 to $160. VPS Plans of Bluehost provide more features at a lower price. It provides better combination of RAM, Bandwidth, Disk storage, IPs etc. Hostgator provides both managed and semi-managed VPS plans, which is good for technically advanced people. In Dedicated plans, story repeats itself. Bluehost is more cost-efficient and still provides nice features. But, general opinion is that Hostgator provides more powerful hosting in VPS and dedicated server category, than Bluehost. Go with Siteground and Inmotion hosting for larger plans. They are a lot better than both these hosts. Surprisingly, Bluehost’s wordpress hosting is more expensive than its VPS plans. Prices are too high, even for a medium sized website owner. But, Bluehost provides many advanced features like sitelock, CDN and SSL certificates. Hostgator limits no.of monthly visitors and no.of websites to be hosted on 1 account. It offers relatively cheap plans. In my view, if you want a cost-efficient option, then go with A2 hosting and if you have some more money, then choose Siteground for wordpress hosting. Both hosts give strong competition to each other and offer nice plans. 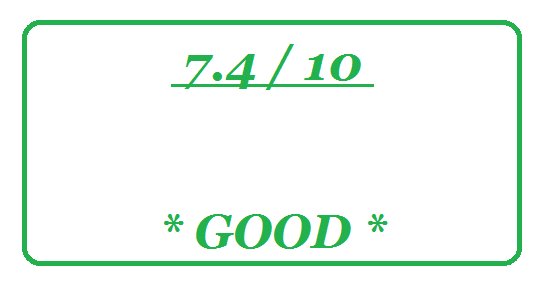 But, every thing is not very good and some clear negative sides are there. A2 hosting, Siteground, Inmotion and Dreamhost provide better value for money and better combination of features. Speed and up-time are two extremely important factors for a website. 2) slow speed spoils the user experience and delay of every single second can reduce a website’s traffic significantly. Up-time record is crucial because if your website remains down for abnormally long time, then you may loose a big portion of your website’s revenue. If your website suffered a downtime during promotional events or peak hours of your business, then you will regret saving $2 or $3 to get a cheap host. In this part of Bluehost vs Hostgator review, we will compare speed and up-time record of both the web hosts. Speed of Bluehost’s test site remains between 1200 ms and 1400 ms for most of the time, which is really poor. Only few web hosts like fatcow, web hosting pad, arvixe etc. have shown worse speed records than bluehost. Overselling of server resources by bluehost is thought to be the main reason behind its slow speeds. 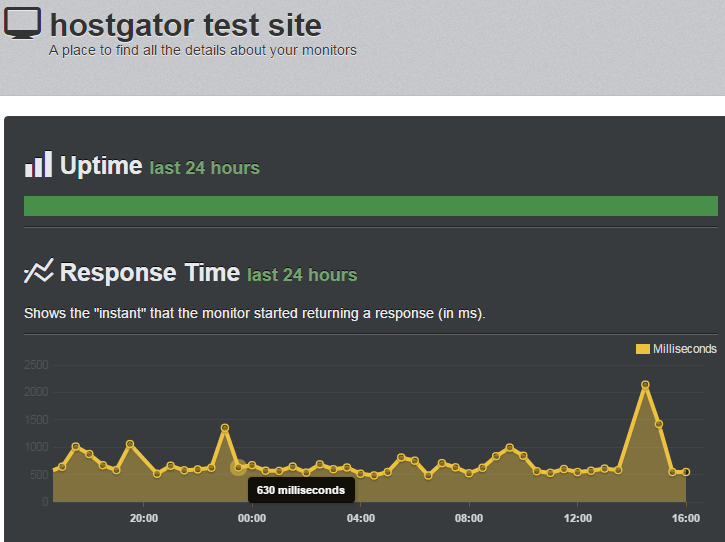 Speed of Hostgator’s test site remains between 600 ms and 700 ms for most of the time, which is really good. Its speed record is better than many famous hosts like godaddy, ipage, arvixe etc. Bluehost’s testing website suffered frequent downtimes during the testing period. 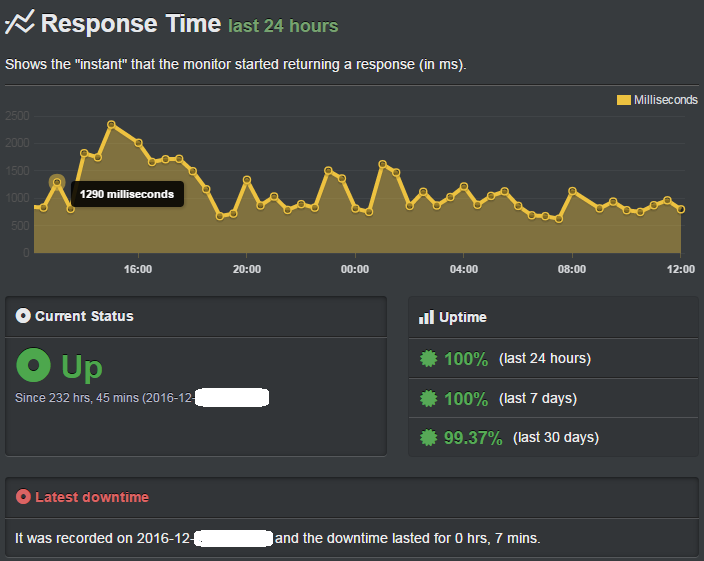 Its overall uptime for 4 months is 99.76%, which is below average. Hostgator has suffered only two downtimes of 3 minutes each during last 4 months. 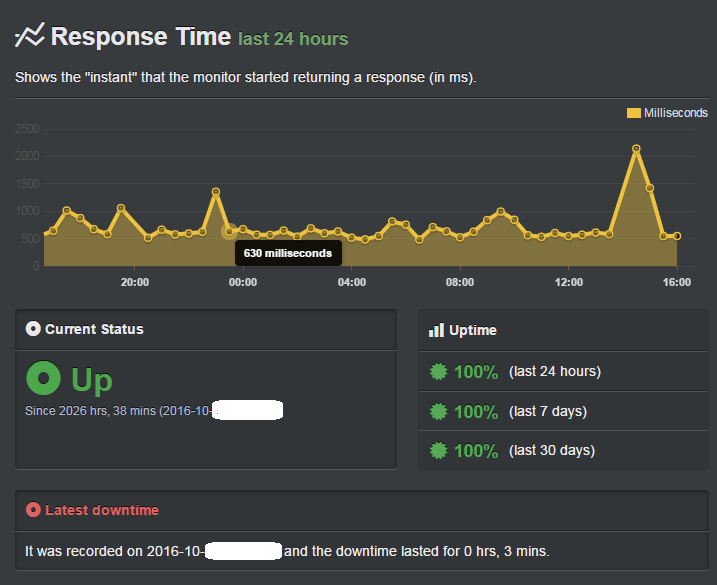 Its overall uptime for 4 months is more than 99.99%, which is exceptionally good. Anything above 99.98% is considered to be great and hostgator does the same thing here. 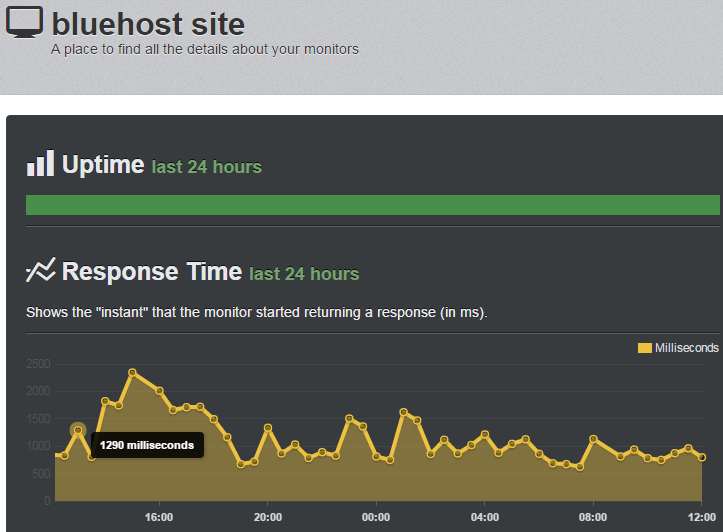 Hostgator clearly outperforms Bluehost in speed and uptime. Bluehost is always considered to be an average performer in this department and our testing has only confirmed it. Getting good support from your web host is extremely important. A website keep falling in some technical trouble after every few weeks or months, due to things beyond a website owner’s control. You don’t want to get ignorant and foolish replies when your website is facing a technical error and you are loosing money every day. This part of Bluehost vs Hostgator review will tell you, whether you can trust the support quality of these two hosts or not. Both Bluehost and Hostgator provide 24/7 Live chat, email, ticket and phone support. These are the common mediums of customer support. Both hosts also provide huge knowledge base for their customers. Such knowledge base have solutions of crucial hosting related issues and answers of frequently asked questions. Active customer forums are also provided by both hosts. Here, different customers can talk and share problems or experiences. Bluehost‘s support team is appreciated for having good technical knowledge and for being helpful on most of occasions. But, Bluehost is highly criticized for the long waiting time of phone and chat support. Another negative aspect of Bluehost is the odd practice of handling multiple customers at one time on live chat. Customers report that quality of Hostgator’s support has came down after its acquisition by EIG. Hostgator is highly criticized for very high waiting time for live chat, ticket and phone support. Waiting time for starting its live chat is generally around 15-20 minutes, which is among the worst records. Though, the technical knowledge of hostgator’s support staff can be considered good, if not great. Both the hosts provide average support quality and both are frequently criticized for it. All our top 3 web hosts provide top class customer support, Siteground is specially excellent here. In this part of Bluehost vs Hostgator review, we will find out which of these two hosts is better prepared for the security threats caused by the risky nature of online world. Remember that hackers and online thieves are always looking for a hole in the security system of a website. Bluehost is reputed for providing top-class security to all its customers. To prevent spam, it provides very powerful tools like Spam Assassin, Spam Experts, and Spam Hammer. If your website suddenly has to face a DDOS attack, you can protect it by using Cloudflare. It is fully supported by Bluehost. IP address blacklist is a feature which helps you to block any person’s IP, who can harm you in some way. Bluehost also provides hot link protection, which prevents people from stealing your images or content. Sitelock and SSL certificates are advanced security features, which are provided at an additional fees. Hostgator protects a website by providing a customized firewall, which protects your site from DDoS attacks. A shared SSL certificate is provided in every shared hosting plan, which is highly beneficial. Like Bluehost, Hostgator also provides Hotlink Protection and IP deny manager. HostGator provides Spam Assassin that keeps unwanted junk emails out of your inbox. Automatic malware removal tool is a very useful feature, as it automatically detects and removes a malware. Both hosts are really good at providing strong security to their customers. Apart from few isolated incidents, there have not been any significant complaint about their security systems. In this part of Bluehost vs Hostgator review, we will compare the overall list of features of both these web hosts. These will include common things like bandwidth and disk space, as well as, specific features like Cloudflare. This comparison is mainly limited to shared hosting plans of both the web hosts. No. of websites and email accounts – In higher plans, both things are unlimited. But, in smallest plan, only 1 website and 5 email accounts are allowed. Bandwidth and disk space – Disk space is limited in smallest plan. In other plans, both the things are unlimited, but they have to be used within practical limits. Free domain name – Free for first year, if you buy a plan longer than 1 year. Website Builder – A simple and free drag and drop website builder is available. For, higher quality websites, it is better to use a third party website builder like DIVI builder, Live composer, Visual composer etc. Control panel – Highly popular and industry’s favorite C-panel is provided with a highly improved interface. Content Delivery Network ( CDN ) – A basic version of Cloudflare is available. It is free and no coding knowledge is needed to enable it. Backups – Automatic daily, weekly and monthly backups are provided and restoring them is very easy. WordPress 1 click installer – It is available to download and install all major software related to wordpress. E-commerce – Almost every useful and well-known software of e-commerce is supported by Bluehost. It also provides woo-commerce hosting, which is specially made for e-commerce. In my view, Siteground and A2 hosting are great options for e-commerce websites, due to their excellent speed and up-time record. Money back guarantee – Complete refund in first 30 days, and a prorated refund for remaining hosting term on cancelling later. It is an excellent money back policy. Free Website Transfer – No free site transfers. Bluehost charges you $149.99 for transferring upto 5 websites, which is just too expensive for a single website owner. Account isolation technology is used to make sure that every website hosted on a server get adequate amount of server resources like Bandwidth, disk space, RAM etc. No. of websites – 1 website in smallest plan and unlimited websites in all other plans. No. of email accounts – Unlimited email accounts in all the plans. Bandwidth and disk space – Unlimited in all the plans. But, no customer can use too much resources of a server. Free domain name – No, a free domain is not offered by it. Website Builder – It provides a free and basic website builder, which allows you to make only 6 pages. For advanced options, you must buy a paid plan, which is quite expensive. Control panel – It provides the latest and industry’s most popular control panel, C-panel. Content Delivery Network ( CDN ) – No CDN, but you can buy it from a third party if needed. Backups – It provides you Instant backups through C-panel. But, you will have to do your own arrangements to restore those backups. WordPress 1 click installer – Instead of 1 click installer, a tool called Quick-install is provided which allows you to download more than 75 useful software within few clicks. E-commerce – It provides famous shopping carts like Zencart and OsCommerce. Advanced features like SSL certificate and dedicated IP address are also provided in higher plans. 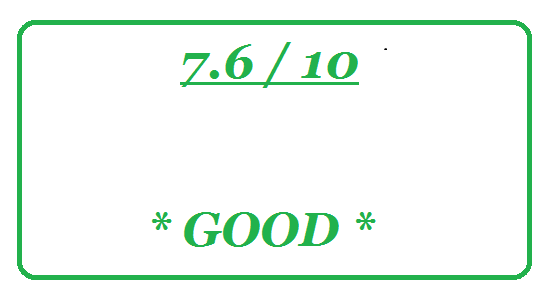 Money back guarantee – Full money back guarantee of 45 days is provided to all the customers. Free website transfer – It provides free transfer for 1 website. But, you will have to apply in first 30 days of sign up to get the benefit. Hostgator is appreciated for being very simple to use. Even a beginner can understand its interface very easily. Both the hosts provide a very good mix of different features. Till here, we compared the performance of both Bluehost and Hostgator in different departments in this review. Now, its time to move ahead to the conclusion of this detailed and fair Bluehost vs Hostgator review. Both web hosts are very strong competitors in every department of hosting and level of their service quality is very close to each other. But, Speed and Up-time record of Hostgator is clearly better than Bluehost, which becomes a decisive factor. Hostgator is slightly better than Bluehost in overall web hosting quality. If you are still interested in buying Bluehost’s web hosting plan, then use following link for getting latest discounts. Do you want web hosts which are a lot better than Bluehost and Hostgator ? I myself trust these 3 hosts a lot. ZENIWO.COM itself is hosted on Inmotion’s hosting plan. Now, this Bluehost vs Hostgator review comes to an end. Choose a right web host for your website and enjoy your time. NOTE :- I am an affiliate of some of the web hosting products mentioned on this blog. I will receive a small compensation, if you buy web hosting plans through the links provided on this page. Click here to read the full Affiliate disclosure.